First, consider the amount of space you have on your property. 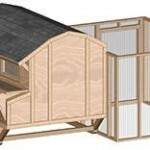 This includes the amount of space you want to set up as an outside run for your chickens. 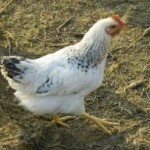 Buying an average-sized coop and setting up a run can save you more money especially if you only have several chickens to house. The important thing is your chickens have enough space to run around during the day and be comfortable when they roost at night. 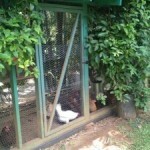 Second, consider ventilation and insulation inside the coop. It would be wise to check whether or not the cheap chicken coop you’re being offered has enough vents for proper circulation of air, not to mention enough insulation to keep them comfortable during the winter months. Remember that chickens are sensitive to extreme heat or cold so make sure that these vents can be closed during inclement weather to provide protection. 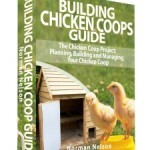 Third, think about a custom-built coop from a local contractor or even a DIY chicken coop. 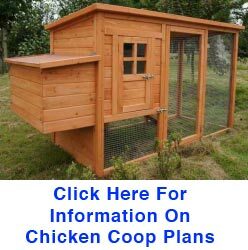 Since a pre-made wooden chicken coop cannot be designed to fit the actual dimensions of your yard, you can look for contractors that offer custom-built coops and have one made according to your specifications and instructions. More often than not, you can save money by hiring a local contractor to build a chicken coop instead of purchasing a pre-made structure from a large manufacturer because there are no overhead costs that get passed on to you as a consumer. 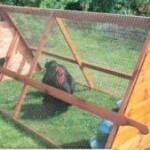 Last, make sure the coop you are planning to purchase can withstand the harshest weather conditions in your area. Northern climes call for sturdy roofing and insulation to keep away rain, snow, and extreme cold, while southern weather involves dealing with excessive humidity and sudden showers. Choose a chicken coop that is resistant to the most extreme weather you experience on a yearly basis to ensure that the chickens are protected and egg production is not hampered, more so if you’re planning to start a small poultry business.